Windows 10 is a newly launched operating system for windows PC, and it's loaded with great features. With windows 10, there are lots of great functions you can achieve, the start up menu is really great and you can even perform over-the-air recovery on your PC with the operating system. Previously, I published an article that details the 5 important reasons you should download and install windows 10 on your computer. 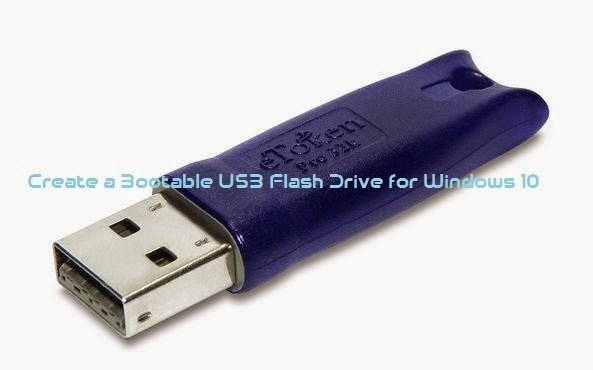 Today's stroll, I would guide you on how to create bootable USB flash drive for windows 10. » Firstly, open a prompt command windows and input “cmd” then hit OK.
» Then input the command “diskpart” and this would start the disk partitioning software. » Then input the command, “listdsk” and you would view the list of drives in the computer. » After the above procedure, you are to check the number on the USB drive, just use the command, “select disk <USB disk number>” to select the drive. » Then you can make use of clean command to remove all the content in the drive. And also use the command “create partition primary” to generate a new primary partition of the USB drive. Then select partition 1. » Then use the command, “active” to make the partition validated and active. » After that, you are to use the command, “format fs=ntfs quick” to completely format the partition as NTFS. » Finally, extract the contents from the Windows 10 IS0 to the USB drive. Once you have performed the above procedure, then a bootable USB flash drive would be created for windows 10. Whenever you want to start installation from the bootable USB flash drive, simply alter the BIOS settings (F12 in most cases) and boot the system from the USB drive, then select the USB drive to proceed to the installation of the windows 10.